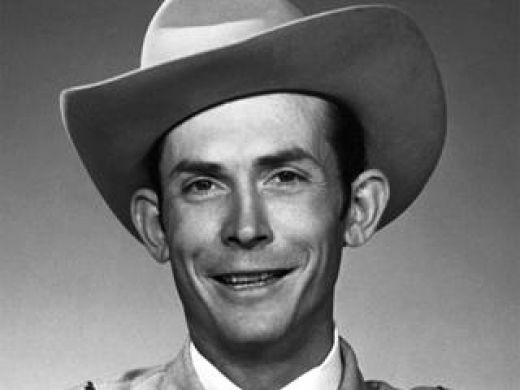 Tom Hiddleston Will Play Hank Williams Sr. and Sing in New Film!! I would have never thought of this casting decision, but it makes perfect sense, and I’m totally psyched about it. Tom Hiddleston or Loki from ‘The Avengers‘ will play the iconic country and western music singer Hank Williams in the film ‘I Saw The Light‘. Marc Abraham will direct the biopic film from a script he wrote, which was based off of the biography by Colin Escott. According to Deadline, production will start in Louisiana in October, and you can expect Hiddleston to actually perform all of Williams’ s biggest hits including ‘Your Cheatin’ Heart and ‘I’m So Lonesome I Could Cry’. the film will focus on Williams’s big rise to fame, his career, and personal life. Hank died at the age of 29 of heart failure, but he left his mark on music for the rest of us to enjoy. Abraham hasn’t really directed anything, but his producing credits are phenomenal including ‘Children of Men‘, ‘Air Force One‘, and the 2004 version of ‘Dawn of the Dead‘ to name a few. This is going to be Amazing. Your thoughts? ‘I Saw The Light’ Looks Phenomenal!!! This entry was posted on Thursday, June 12th, 2014 at 5:24 pm	and is filed under Film, Music, News. You can follow any responses to this entry through the RSS 2.0 feed. You can skip to the end and leave a response. Pinging is currently not allowed. How about we stop having frigging Brits take all the roles? I don’t want that pile of crap limey jerkoff anywhere near this role. You’re not a fan of Hiddleston? My fellow Americans have short memories for all the MANY roles of other nationalities/ethnicities played by (largely white) Americans, from John Wayne as Genghis Khan to Meryl Streep as Margaret Thatcher. It’s why the profession is called ‘acting’, after all. Mr.Hiddleston has the talent and dedication…I will save my concern for script, direction, and marketing. « Kristen Wiig and Annie Mumolo Teaming Up Again for New Comedy! !